Girl is NOT a 4 Letter Word: Wasserman Representing 4 USA Female Skateboarders Heading Into Olympics. Wasserman Representing 4 USA Female Skateboarders Heading Into Olympics. Wasserman Agency has always been powerful in the sports industry and they represent some of the best athletes in the world, and now with the addition of these four female skateboarders, they are heading towards the 2020 Olympics with half of the women on the newly announced USA National Team on their client list. That in itself is pretty damn powerful and visonary. 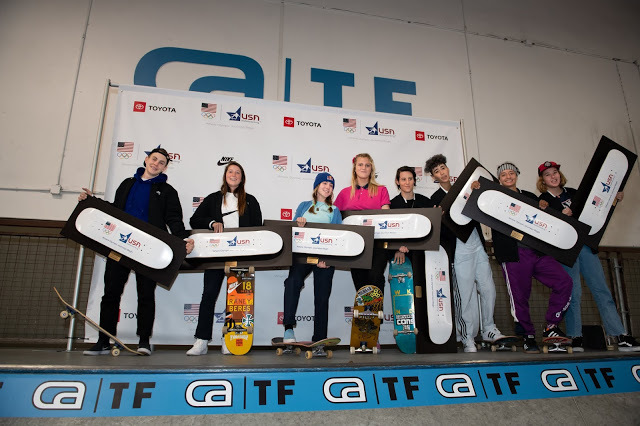 The USA female skateboarders are; Bryce Wettstein (park), Lacey Baker, Mariah Duran, Jenn Soto (all street). Until recently, Yulin Olliver represented all four skaters within her boutique agency, YUNEXIS. It looks like Yulin is moving on to work directly with Wasserman as one of the agents representing the athletes mentioned above. The question is, where will Olliver's other athletes end up? Yunexis Agency also represented Vanessa Torres, Cara-Beth Burnside, Grace Marhoefer, Dani Burt, Savannah Headden and Samarria Brevard. As reported by The Sports Agent Blog, Bryce, Lacey, Mariah, and Jenn will be represented by agents Steve Astephen, Yulin Olliver, Steve Ruff and Circe Wallace. Wasserman launched its action sports division in 2003 with the acquisition of Astephen’s “The Familie.” Astephen is the current managing partner for the action sports division. It should be mentioned that Wasserman agent, Circe Wallace, comes from a pro snowboarding background and has been a top athlete agent for many years, and the 2020 Olympics is not her first rodeo. She is known for being a poewerful advocate for female athletes and has the experience to make these ladies all household names. Combined with Yulin (who used to work with Circe many years ago) and the rest of the Wasserman team, we are excited to see what happens next! It's also interesting to note that as part of Nike’s deal with the U.S. Olympic Commission, all athletes must wear Nike head-to-toe during all official Olympic engagements. This includes press conferences, interviews, official appearances and medal ceremonies, however it doesn’t extend to appearances in the actual competition, according to BoardWorld.